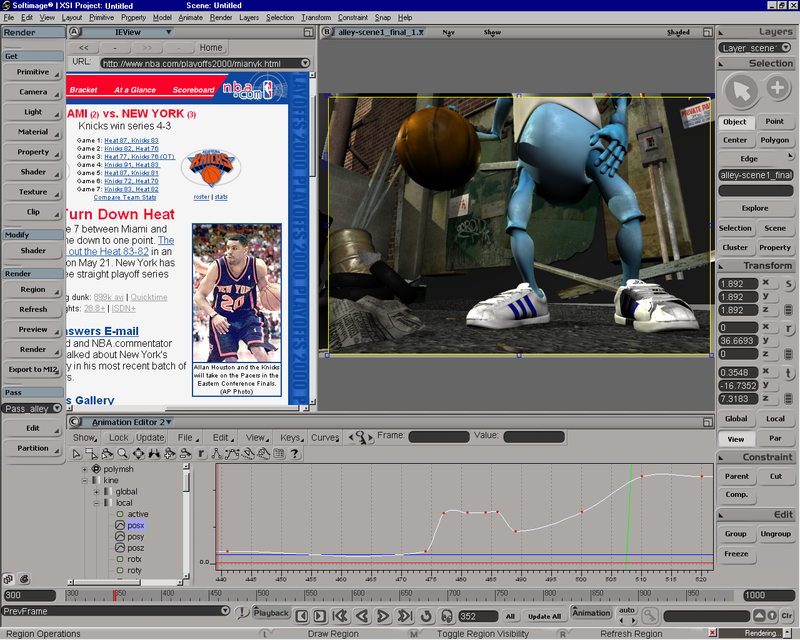 Softimage|XSI screenshot from May 2000 (NetView is showing NBA playoff results from that year). Godzilla. 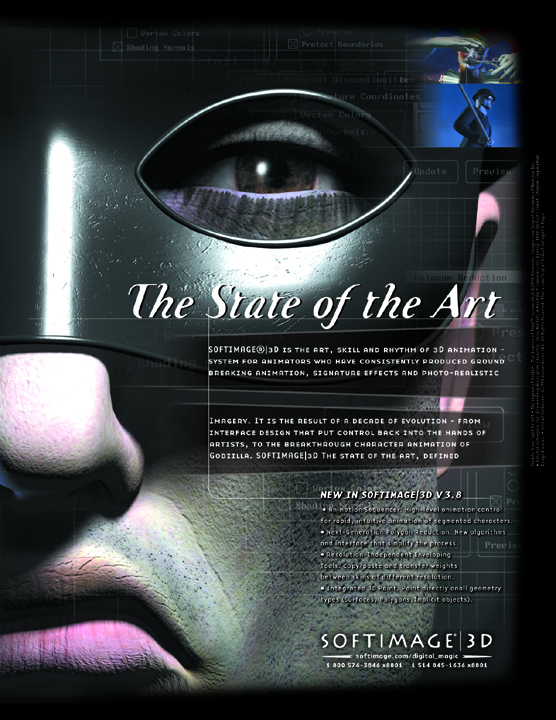 SOFTIMAGE|3D The State of the Art, Defined. 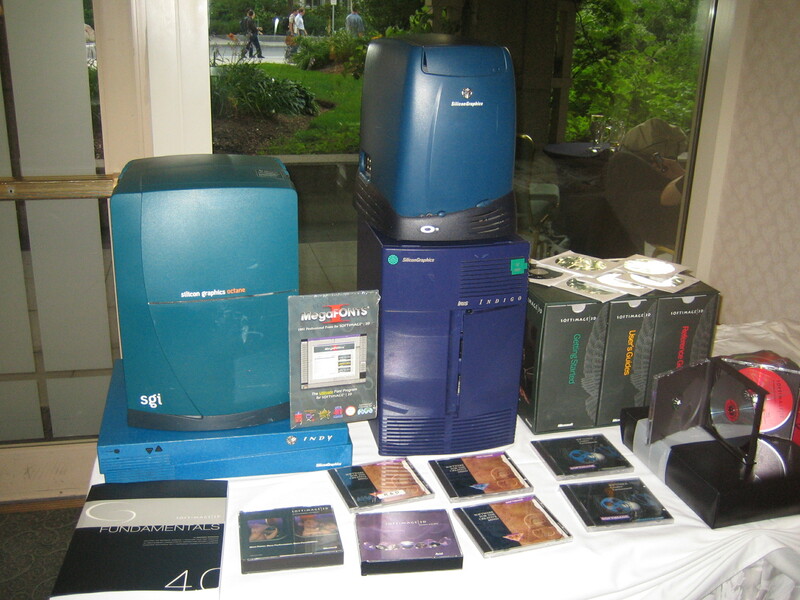 we’ll match your upgrade price. 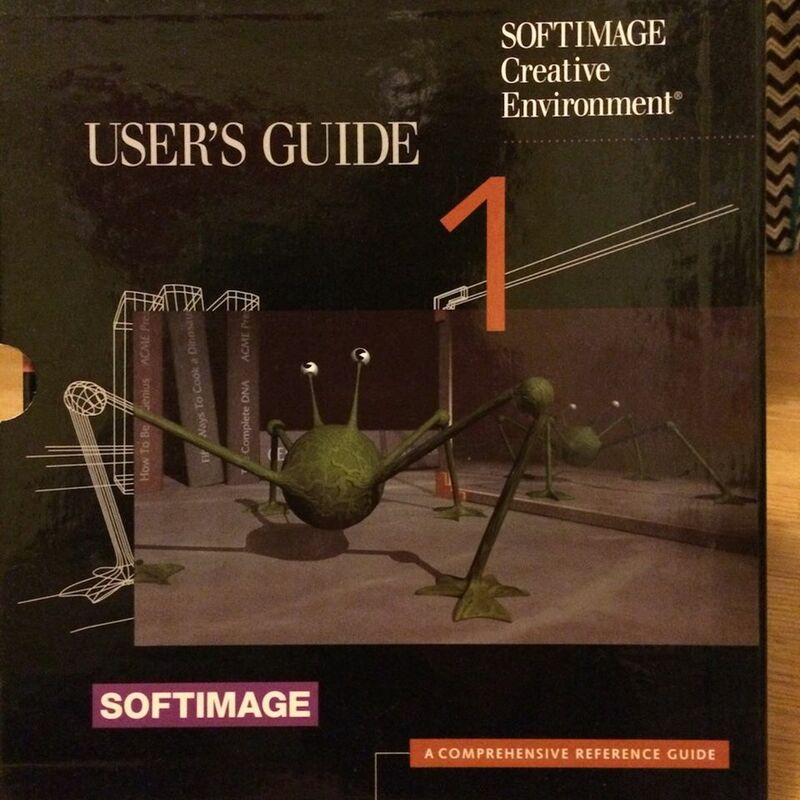 Apparently that creature on the cover is known as Creeps (note: link is to a youtube video that isn’t available in my country). Note the names of the books in the background: “How to be a Genius”, “How to cook a Dinosaur”, and “The Complete DNA”. 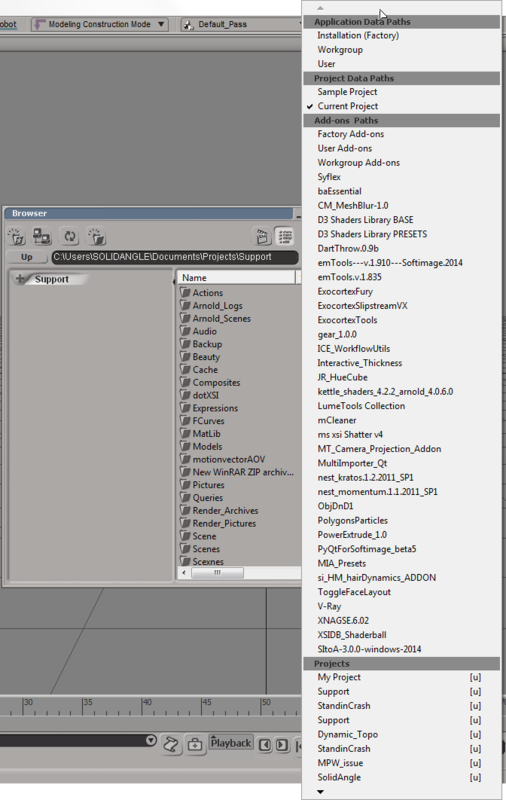 Also, what’s up with a “User Guide” being labelled a “Comprehensive Reference Guide” ?